We spent a few more days at the all-inclusive hotel in Bedalmadena, where we took turns having a flu. We stayed for two nights in Malaga, enjoying the old town and doing some last minute shopping before the Camino. 12-hour bus trip across the country to our starting point in Loroño gave us time to get mentally prepared for the upcoming weeks. We'll be posting updates about our walk on our Facebook page. Welcome to our weekly recap! This one's for May 8th-14th, which is week 19, 2014. 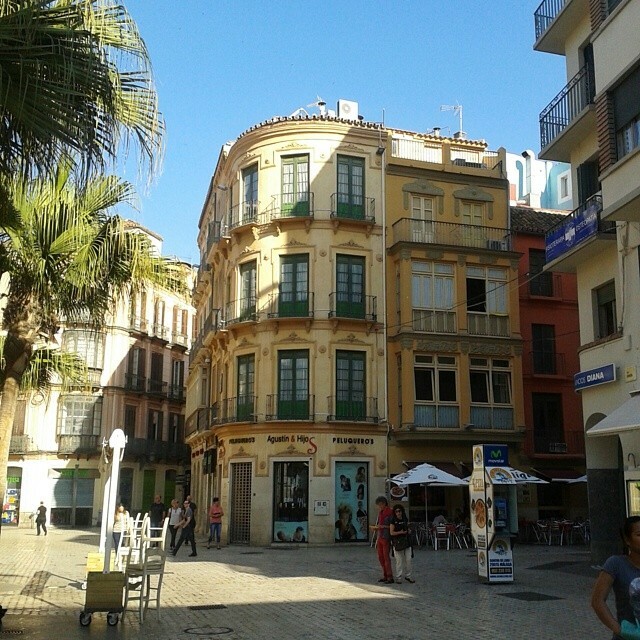 Surprise of the week: Malaga with its beautiful historical center. Somehow I had an image of a conrete-box tourist-city built in 70's in my mind. Apparently the city was founded already in 770 BC by the Phoenicians. Oh, well. You can't know everything. Workwise: We've managed to do all the official paperwork online this year - until this week. We are so alienated from using paper mail that it seems to take a full week to send one letter. Printers? Envelopes? Stamps? Addresses? 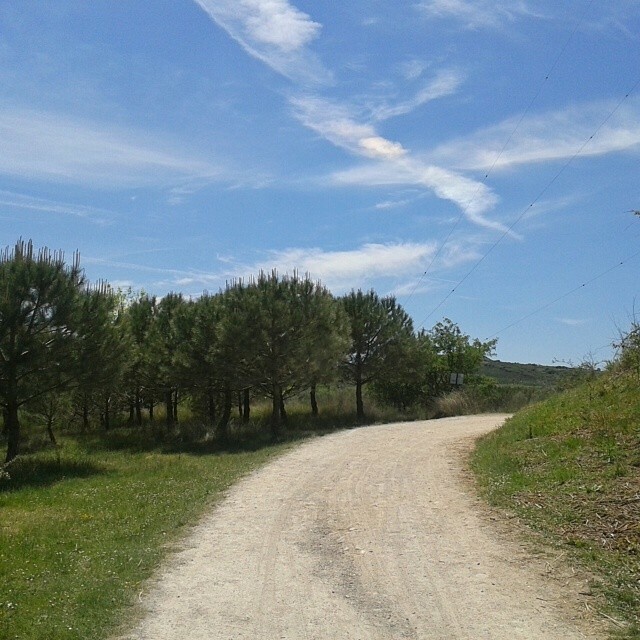 What did we learn: The popularity of Camino de Santiago has been growing exponentially since the eighties. In 1985 there was only a few hundred people walking it. In 1992 the number was almost ten thousand and in 2013 already two hundred thousand. Tip of the week: Long distance busses can be a lot cheaper than trains in Spain. You can get train tickets for half the price though, if you book them long enough in advance. We didn't, so bus it was for us. It took a bit longer, but we saved a hundred euros. Random thought: The timezone in Spain is the same as in Central Europe even though the whole country is actually west from London. That means late sunrises and late sunsets. I wonder if this has anything to do with their meal times? When we want to go for dinner, the restaurants are often still closed. They have just finished lunch. Luckily, on the camino they've been serving us food at any time of the day so far. Most memorable moment: The owner of the guest house for pilgrims, or albergue, prepared a dinner for all the guests. We all sat together in the small common room, sharing our stories, enjoying good company and some Riojan wine. Local taxis in the white village of Mijas, Andalucia. 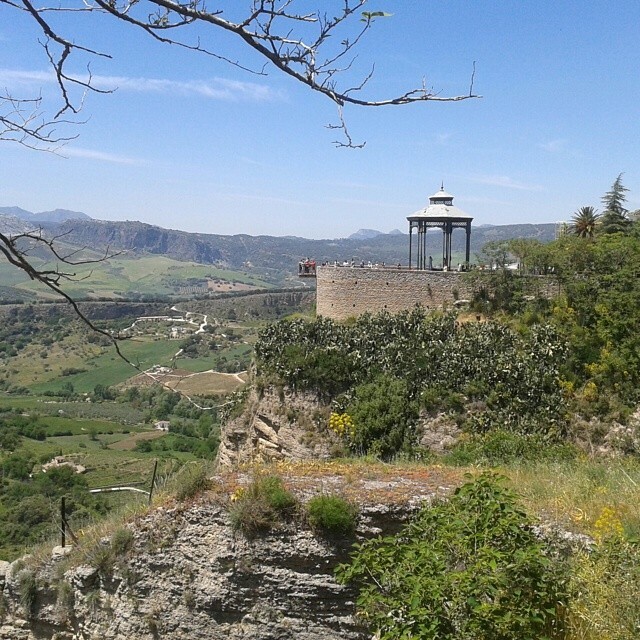 People enjoying the dizzying views from the cliffs in Ronda. 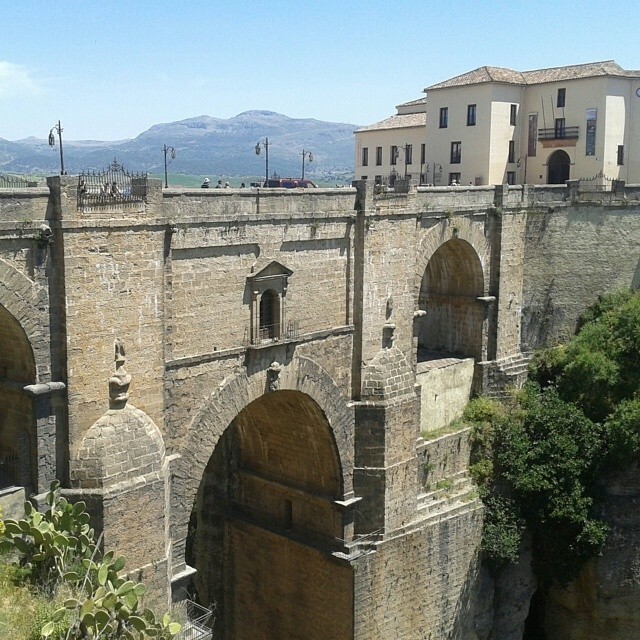 The "new" bridge over the 100 meters deep canyon that splits the town of Ronda in two. One of the most impressive sights I've seen for a long time. The picture doesn't really capture the feeling though, you'll have to go and see for yourself. Our neighborhood in Malaga was full of tapas restaurants. 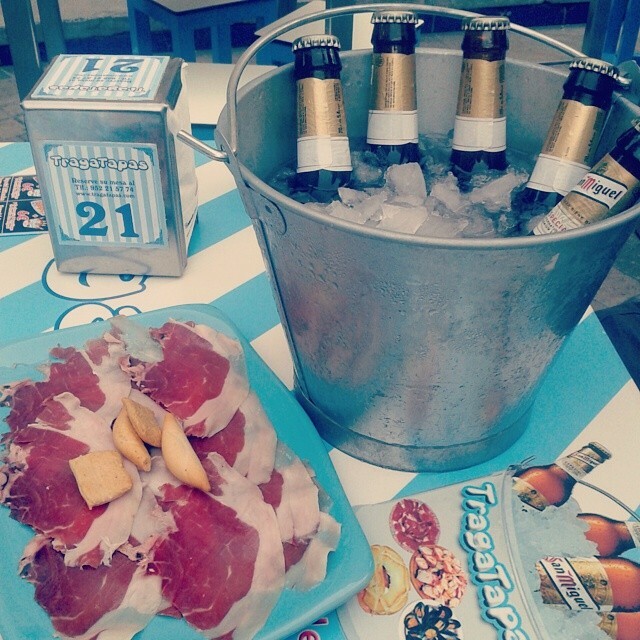 A big plate of ham and a bucket of beer, 6€. Fair enough. In the old center in Malaga. 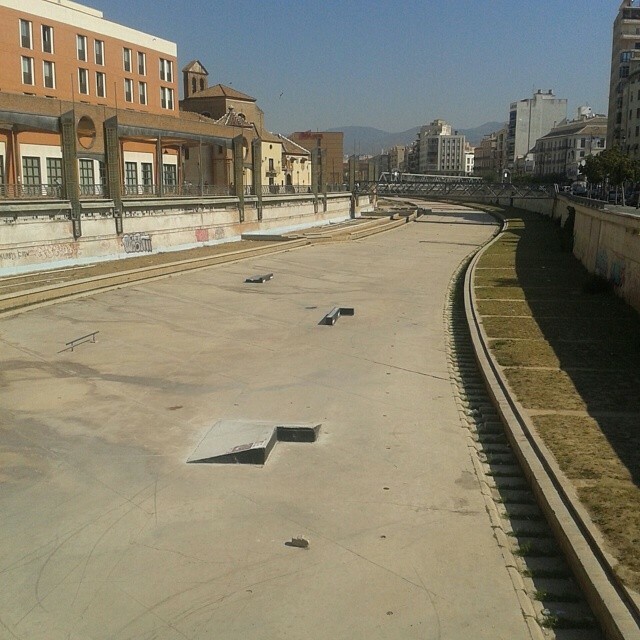 The river taking a day off in Malaga. 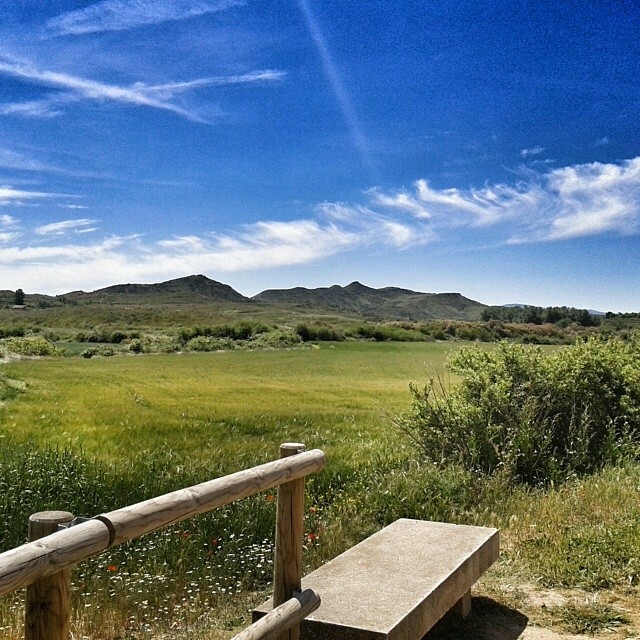 Green and blue have been the main colors on our camino. A good spot to pause and enjoy the scenery for a moment. 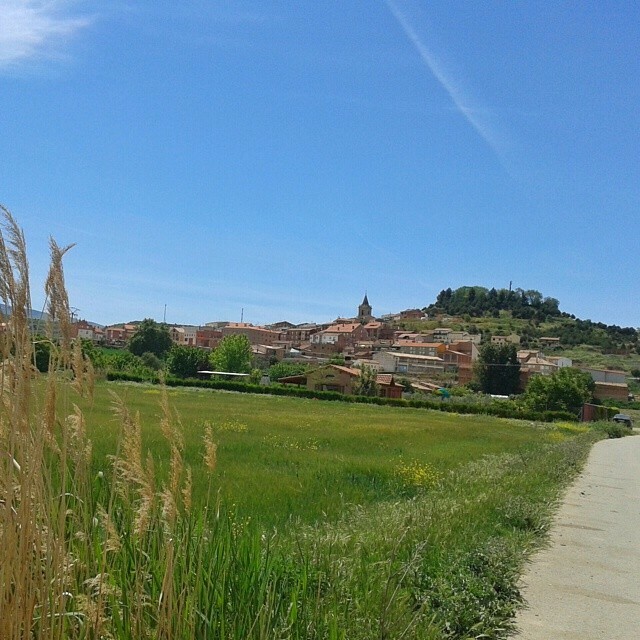 Arriving to our first destination, Navarrete. This post is part of Instagram Travel Thursday and all the pics are from our Instagram account. Instagram Travel Thursday ia a gathering of Instagram related blog posts every week. You can find a list of other participating posts, or add your own post, at Destination Unknown, Skimbaco Lifestyle or at many other hosts' sites. You can also participate by tagging your Instagram pics with #igtravelthursday. Great photos and thank you for participating! Great shots! 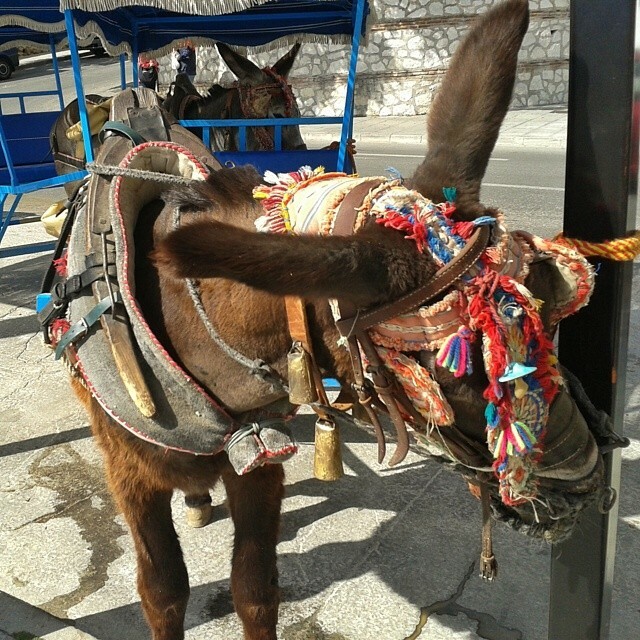 Glad you went to Ronda as well, we loved that town, ¡Disfrute! Thanks for the comments! The more we learn about Spain, the more we want to go and visit every town here. The weather looks much better now than a few months ago when twoyearssevenkilos did the walk!!! The weather's been fantastic. Let's hope our luck continues!